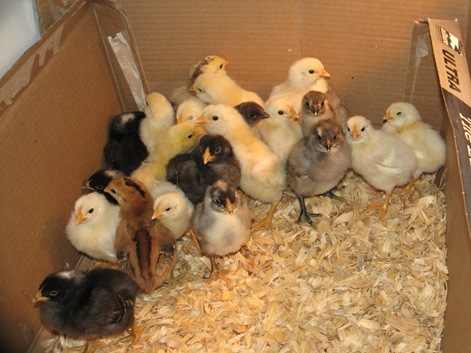 Browse: Home / Baby Chicks! 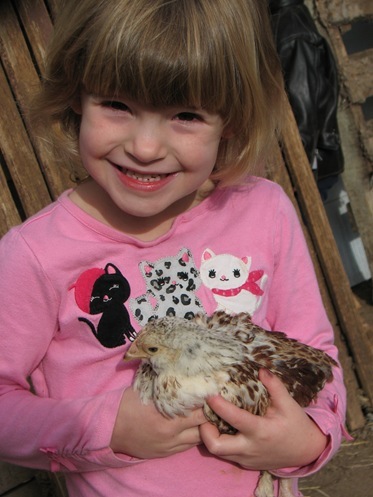 Back in November we tried to hatch some Barred Rock chickens for Flora’s birthday. She loves zebras and these chickens are black and white striped. 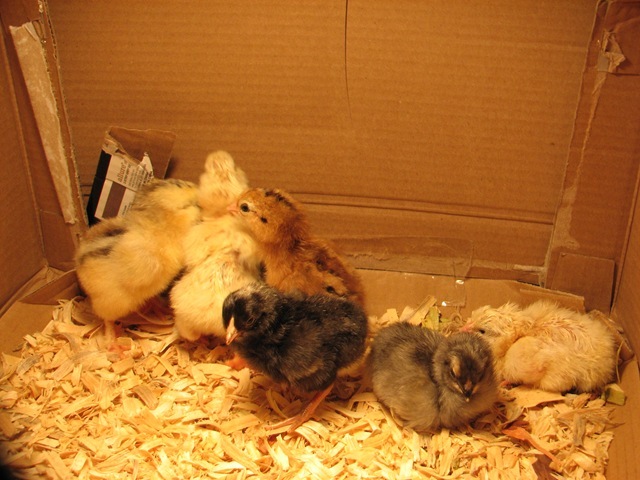 Having never worked an incubator before, I made some mistakes and our hatch rate was very low – 3 out of 3 dozen; none of which were the striped kind. It did result in three very tame chickens, one of which is Eden’s special pet. 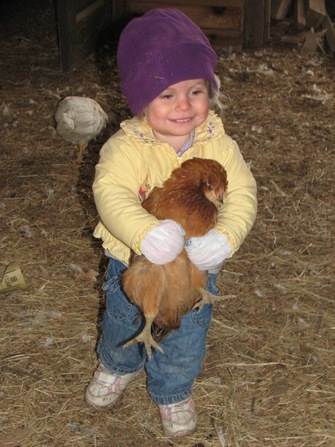 Even after they made their home in the barn, Eden still catches and carries around her favorite chick, running after it and crying “chickie” if it gets away. We decided to give it another try while we still had the incubator. 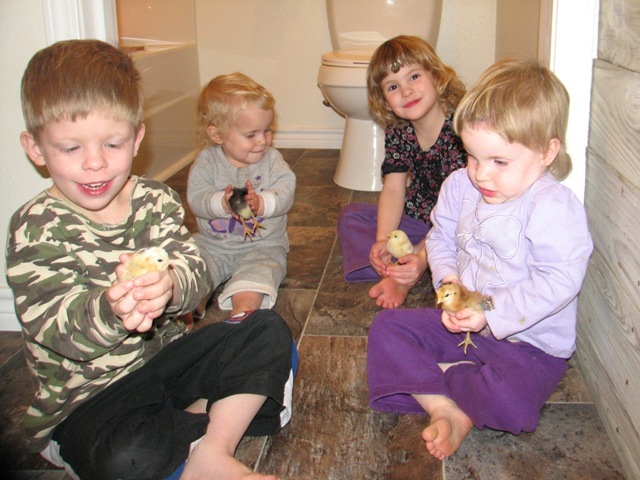 The first few hatched out during the night and I had the fun of waking the kids with the news. Almost as good as Christmas morning! Over the next two days more and more hatched until we had 22! 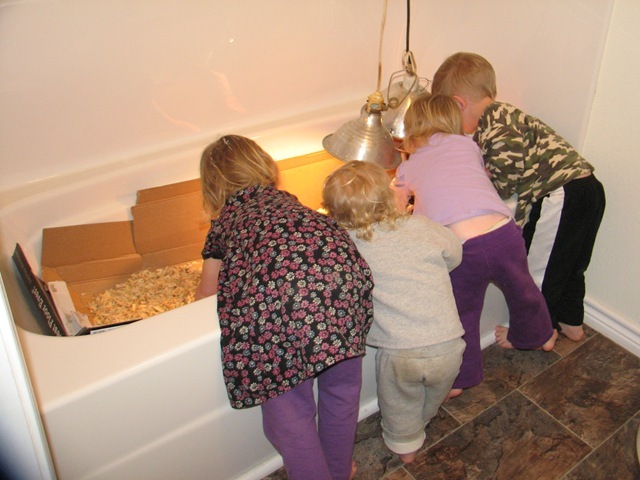 We kept them in the bathtub where they could run just out of reach of the smaller hands. Even still we lost “Tiny Tim” to over zealous handling. As soon as they had enough feathers to stay warm and before they became too stinky, we moved them out to the barn. 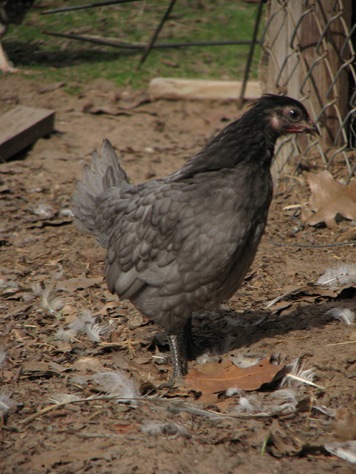 They did great in their secondary pen until the last cool night before I let them out with the rest of the flock. For the most part they have adapted well to the flock. Each night Brian or I make sure all are back in the pen and counted. One evening 6 were missing. We looked and looked but couldn’t find them. The next morning we looked some more before discovering the hiding place…. …a chest of drawers! 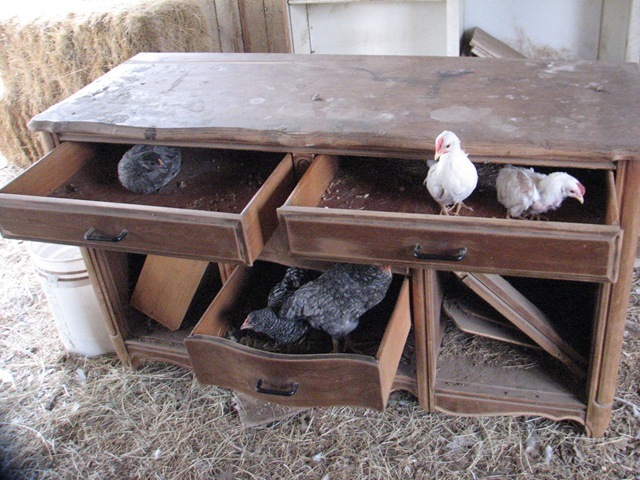 Seems Flora got the idea this would make a good hen house and had shut them all inside. They started pecking around when they heard us feeding the others. I heard them and had to laugh when I opened the drawers and they started popping out! Ivy holds a favorite. I think they have names but never the same name twice, just whatever strikes the kid’s fancy that day. 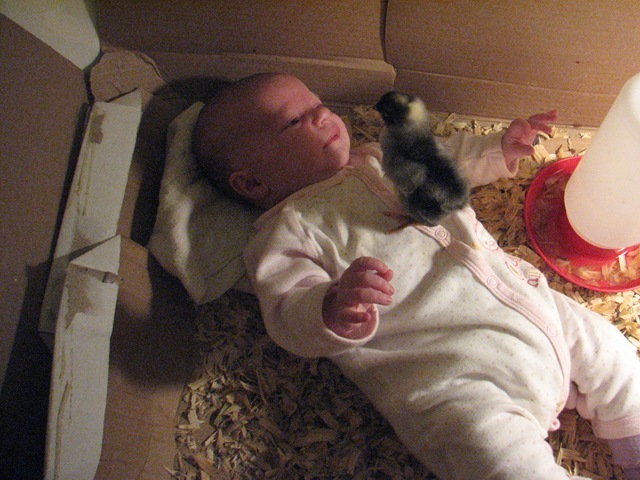 They love to play with the little chicks. 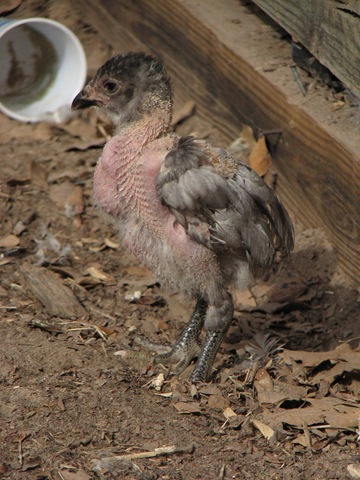 We also have a pretty multi-colored chicken with feathers on its legs and an extra toe on each foot! 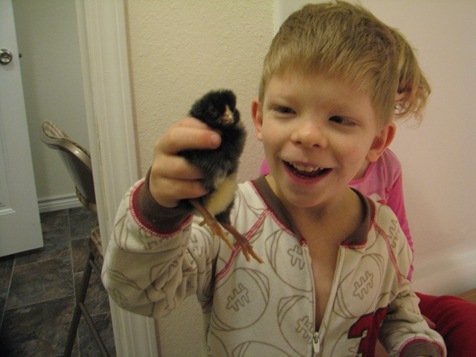 And Flora got her Zebra chickens – isn’t that fun?! 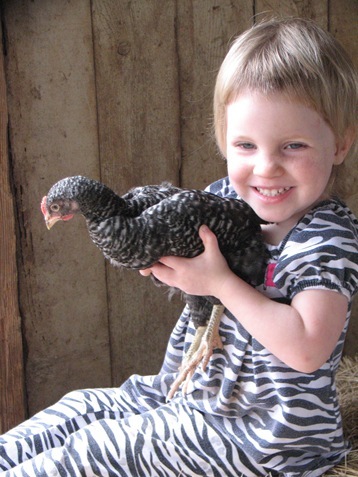 If at first you don’t succeed… Farm animals are great for entertainment-kids and adults alike! This is a great post! 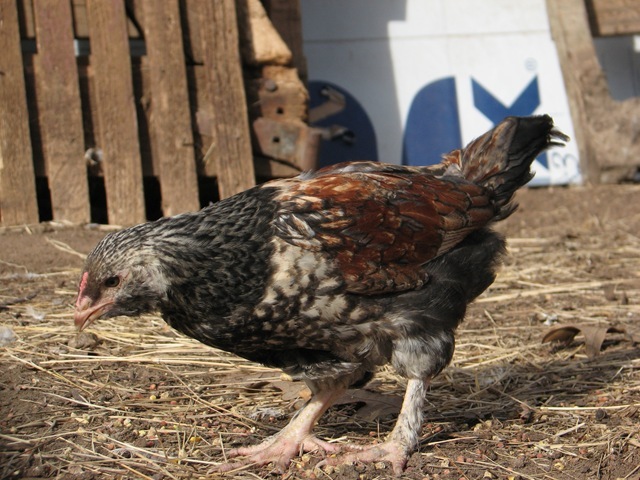 I love the story of Flora locking the chicks in their new hen house. How funny! I am so glad you had a successful hatching. Great post. Lots of farm fun. Not so sure you got the chickens out of the house before they got too stinky, though.